The Mariana Hollow are a female fronted alternative metal band from the London area. They released their debut album, "Coma heart" in 2009 and this, their new album, "Velvet black sky" is due for release in February 2012. The first track on the album, "Before the dive" opens with some beautifully haunting wailing guitar . The song is almost an instrumental - there are some whispered vocals in the background as the track draws to a close so its not strictly totally instrumental, but I think most people would call it an instrumental track. As an intro its very effective, giving an idea of the sort of melody and power you can expect from the rest of the album, and unlike some bands albums, this intro doesnt feel like something that doesnt belong on the album. "Dead reckoning" is the first real song on the album, and one of the first bits to strike me is the similarlity between the voice and Rebecca Spinks, and Gwen Stefani's vocals on the No Doubt albums. It's not all the time, just part of the time - listen to the line that starts "I'm casing the joint" and decide for yourself if I'm right or just imagining things. It's an excellent song with a good rocky feel, a good chorus and great vocals. "Stand your ground" starts off gently before the power and heaviness ramp up. This is another great song. I'm not going to describe the songs on the album in detail - you should listen to the album yourselves and hear for yourself what they're like, but in my opinion there isnt a single weak track on the album. 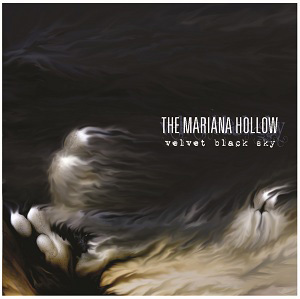 The Mariana Hollow have definitely grown since their debut album was released. While their debut album was very good, "Velvet Black sky" is a far better album in my opinion, and shows how they've grown musically. This album will definitely keep their existing fans happy and win them plenty of new fans too. This is a great album - well worth buying.